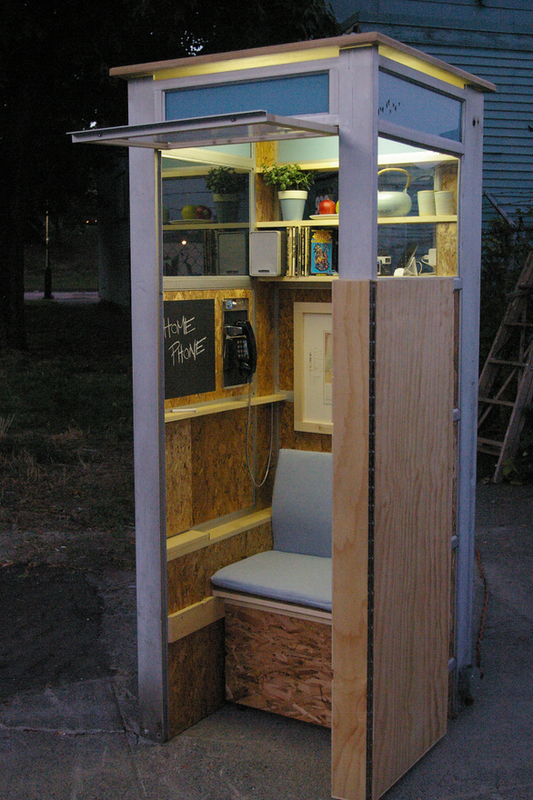 A response to the retreat of telephone booths from the urban landscape, and their continued use by the homeless as a vital means of communication, Home Phone reimagines the telephone booth as temporary shelter. Created by Trevor Coghill and Nathan Lee of Contexture Design. Home Phone was produced for “Off the Hook,” a design challenge organized by IDSwest.